The Impact of Distracted Driving With more people using their phones while driving, more losses are reported by insurance companies. A rubbernecking accident is a common cause of distracted driving. Rubberneckers are drivers who look out the car window at some roadside incident, such as a wreck or a police pull-over instead of paying attention to the road. Simply put, rubbernecking accidents happen because drivers are not looking where they are going. A 2003 study conducted by Virginia Commonwealth University for the Virginia Department of Motor Vehicles found that rubbernecking was the number one cause of distracted driving accidents, responsible for 16% of accidents. (If the study were to be repeated in 2012, with the proliferation of cell phones, SmartPhones, and texting, the ranking would undoubtedly be higher.) 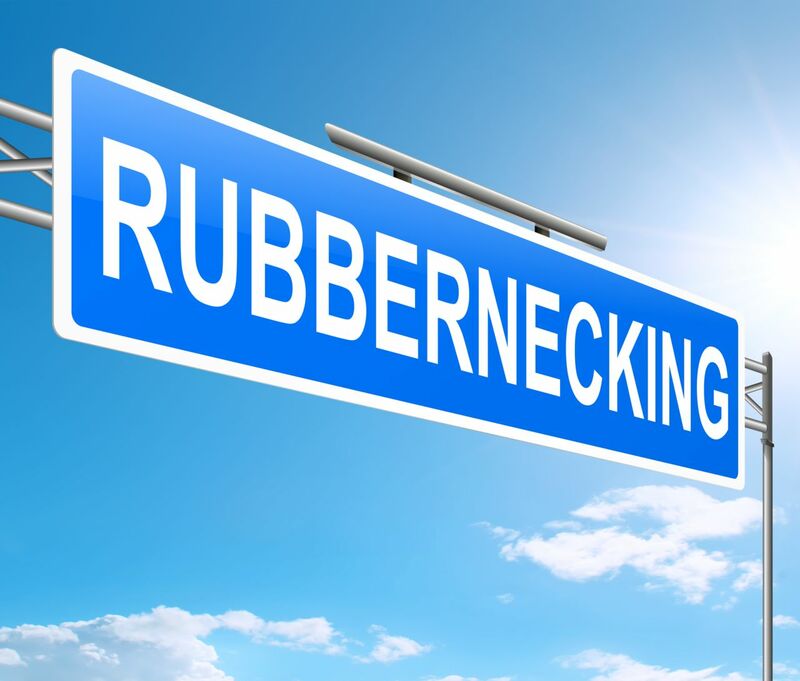 Nevertheless, rubberneckers remains a significant cause of crashes and injuries. It is every driver’s responsibility to avoid distractions and remain focused on the road at all times when driving. When a driver fails to do so and causes an injury accident, the person who has been hurt may have a claim for compensation against the rubbernecker who was not paying attention. Many of these are rear-end collisions. These often cause serious neck and back injuries including herniated discs in the cervical spine, an extremely painful injury that often necessitates surgery, often a cervical spinal fusion surgery.